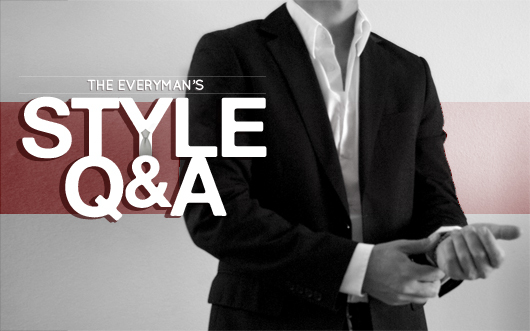 Grant answers your style questions, featuring tips on not overdressing in a casual office, understanding lapel width, and recommendations for reliable tailors in the DC area. 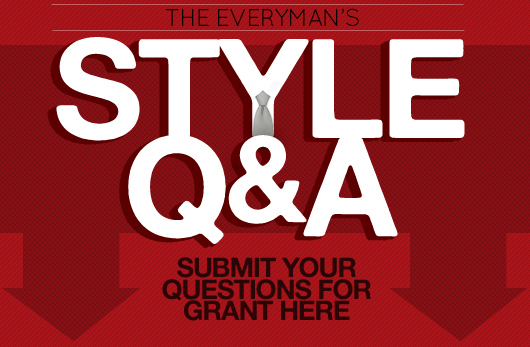 Have a style conundrum you'd like Grant to tackle? Drop him a note using the form below. My office dress code is business casual but leans heavily towards the casual side. How can I dress up my office look without looking overdressed? The key to looking better than everyone else in the office while not being overdressed is to mix things up within moderation. Add a little more detail, a little more color, a little more texture and so on. For example, instead of wearing a tie, wear a pocket square. Instead of jeans wear chinos. 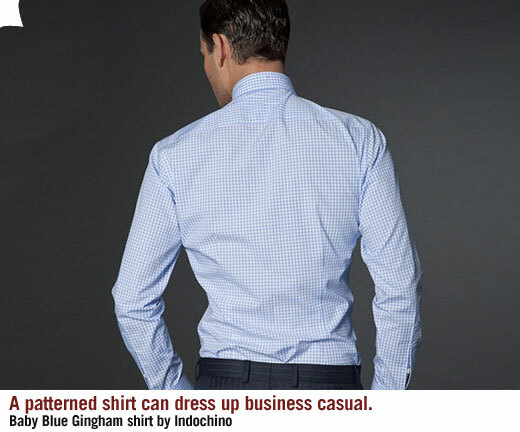 Instead of a solid blue or white shirt try a pattern like gingham, windowpane, or plaid. Replace a standard wool blazer with cashmere in the winter or hopsack in the summer. Add some color in your socks and go past the standard black and blue. It’s easy to look better without going over the top and feeling self-conscious about upstaging your co-workers. On the other hand you should never feel self-conscious about looking your best and standing apart from the crowd. 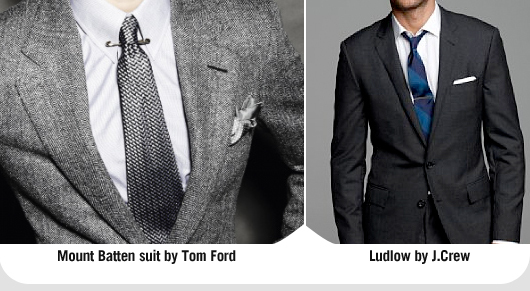 When I'm buying a suit, what is better, a wide lapel or a narrow lapel? Is there a reason behind the width of the lapel? Over the years lapel widths have gone from slim to wide and back again. In the 60’s they were super slim at 2 inches or less. In the 70’s they were as wide as a man’s hand. In the 80’s and 90’s they receded to more bearable widths. Today they’ve found a happy medium. Lapel width is all about proportion. If you’re a slender man with a narrow shoulder frame then wide lapels are going to make you look like you’re drowning in your suit. On the other hand if you’re a large man with a wide chest and substantial shoulders, slim lapels are going to make you look like you’re wearing a suit from the boy’s section. Your lapels should ideally match the proportion of your chest and shoulders. The same rules go for your tie. Your tie and lapel width should be congruent. Slim tie, slim lapel. Wide tie, wide lapel. Some designers like Tom Ford produce the large and wide lapels in favor of classic old school tailoring while others like J. Crew go for the slimmer modern offerings. Try on suits with different widths and trust your eye. Seeing that you're based in Washington, D.C., do you recommend an affordable and reliable tailor for a newcomer to the D.C. area? Do I recommend a tailor? Always. I think the real question is which ones are going to give you the best service for the best price. Price is relative and depends on what you’re looking for. There is a vast difference in cost between having your pants hemmed and having a three piece suit made by hand. That being said there are several tailors in the DC area you should get to know and that I feel get the job done. Try VM Clothiers or Field English Custom Tailors both located in Georgetown. In Virginia try Sun Tailoring or Highcliffe clothiers. If these options don’t work for you or if they’re too expensive you can always go to a local retailer like Nordstrom for onsite tailoring. Before making your decision be sure you’re comfortable with what you’re looking for and what each tailor can offer. Whatever you do, don’t take your clothes to a dry cleaner just because they have sewing machine in the window. Just checked it out, not seeing anything like that. Great article Grant. I’m glad you mentioned the part about not using your dry cleaner as your default tailor too! For tailoring in DC, definitely check out Stephen the Tailor in Foggy Bottom (825 21st St NW). Best tailor in the DC area, a real pro and not some dry cleaning place that happens to cut and sew. No high maintenance Olde English trappings, he’ll just make your clothes fit like they should.